Almost a million dollars in Ethereum were removed from the Exchange QuadrigaCX and were deposited in other Exchanges in December, the same month that its CEO died. 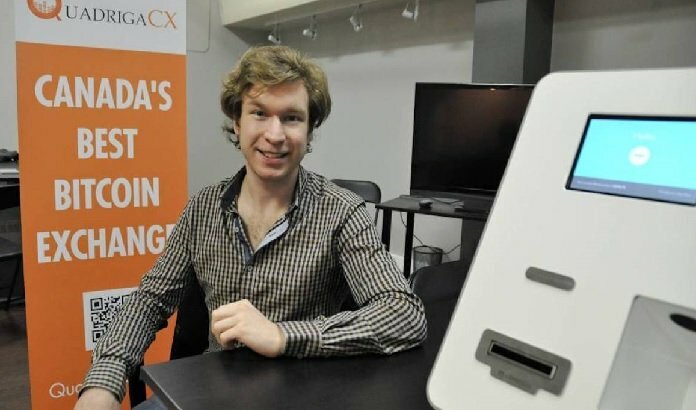 Earlier this month, users of QuadrigaCX, a cryptocurrency exchange house based in Canada, could not access their funds since the death of CEO and founder of the company, Gerald Cotten, last year. And is that Cotten took with it the only password to unlock funds stored in the company's cold wallets. It was thought that Cotten could have faked his death to flee with the money, but this week his death was confirmed. But to add further controversy to the issue, an investigation revealed that in a series of transactions sent from the QuadrigaCX hot wallet (ie, those connected to the Internet), more than 9,000 ETH moved from the Canadian Exchange to accounts in Binance, Bitfinex, Kraken and Poloniex. The research highlights that 5,000 ETH were transferred from December 2 to December 8, one day before Cotten's death. Most of the ETH sent that week ended in Binance. In general, throughout the month of December, more than 4,550 ETH were sent from QuadrigaCX to Binance, 2,400 ETH to Poloniex, 1,609 ETH for Bitfinex and 883 ETH for Kraken. It is not yet clear if the transactions were made by the Exchange or by any of its clients. However, the cash flows have been subject to scrutiny in the cryptocurrency community due to the growing problems of the company. One possible explanation for the large December transfers is that QuadrigaCX sent the funds on its own as it needed liquidity to finance its operations. This is because the bank account of the stock exchange payment processor was frozen last year, losing access to $ 22 million. Please login to leave a comment. Click here to Login.